Ever since Eastman Kodak took the first camera mainstream in 1901, the world has been snapping pictures. At first, photography was used to report news and events, but over time, it became popular as a means of capturing our lives. Today, thanks to the ease of mobile phones, over 1 trillion photos are taken every year. As the number of photos builds on our phones and computers, the task of figuring out what to do with them can seem daunting. The tendency can be to keep them stored away, when they could be filling our lives and our homes with special memories. 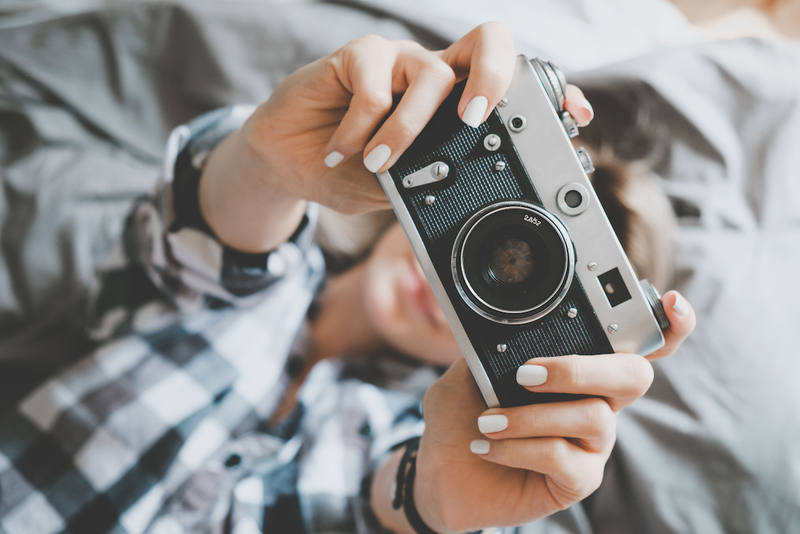 To help inspire you to get your pictures out of your phone and into your home, we’ve outlined some creative ways to incorporate photos into your décor. Gallery walls have been popular for some time. 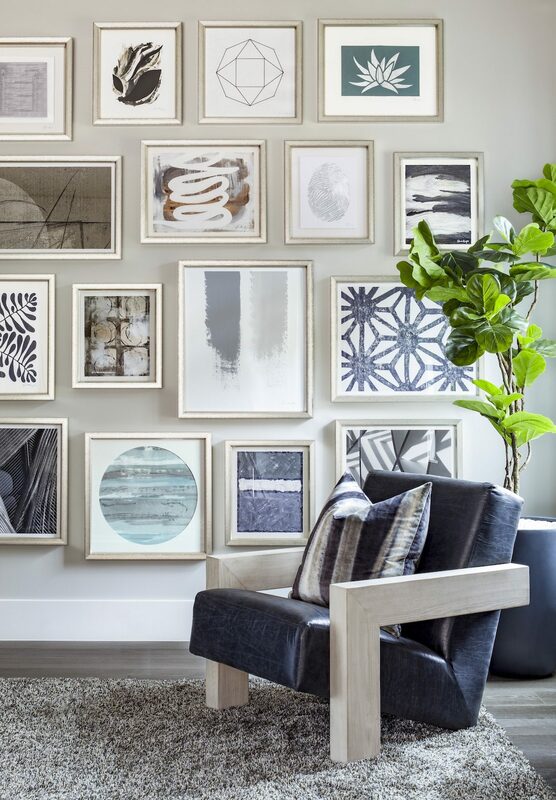 However, instead of filling a wall with a mix of framed pieces in different sizes, the trend has moved towards a display of images in perfect grids of identical frames. 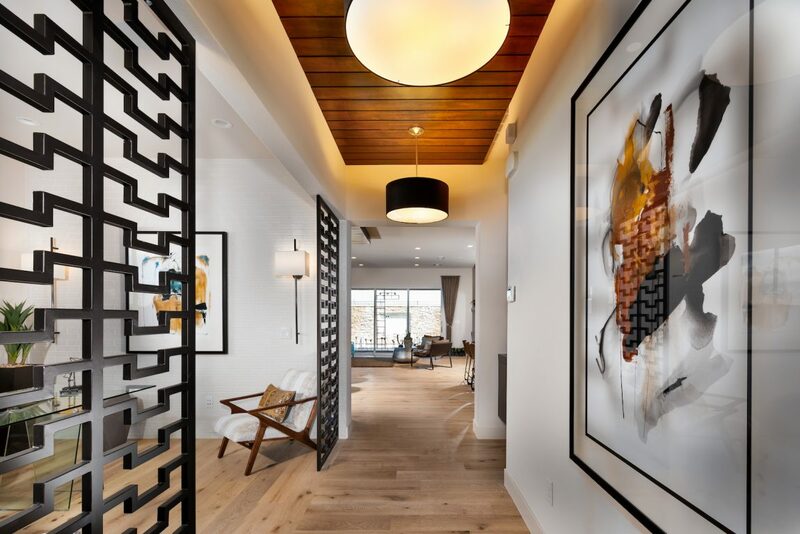 This clean-lined approach lends itself to both modern and traditional interiors. Check out Framebridge for all the grid gallery essentials, including frames and instructions. An arrangement of photos can add depth and interest to your staircase walls. 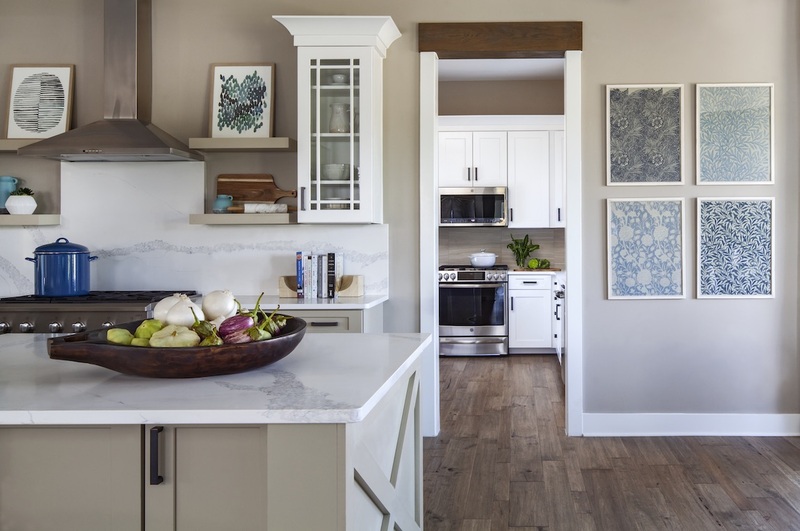 This area of the home, which typically runs bare, is the perfect canvas for treasured memories. You can display photos in all different sizes but using the same color frames and mats creates a more harmonious look. For easy, step-by-step instructions on how to hang photos going up the stairs, check out HGTV.com. A gallery of photos also works well wrapped around the corner of a room. As in the staircase area, you can feature different-sized pictures, but frame consistency is key. When filling a tight space with numerous pictures, use black-and-white photos to create a more cohesive look and add interest in a way that is pleasing to the eye. From a single shelf to multiple levels of shelving, this technique works well in all areas of the home. For a dramatic look, go big with long shelves and photos in a range of sizes. A more informal way of hanging your favorite photos is to attach them to a clothesline of twine, yarn, or illuminated strings of light. Use clothes pins or clips to secure your pictures randomly across the line. Since there are no frames involved, pictures can be easily swapped out. It also makes for a fun and creative way to display family photos during birthdays, anniversaries, and other celebrations. Photos transcend decorating trends. 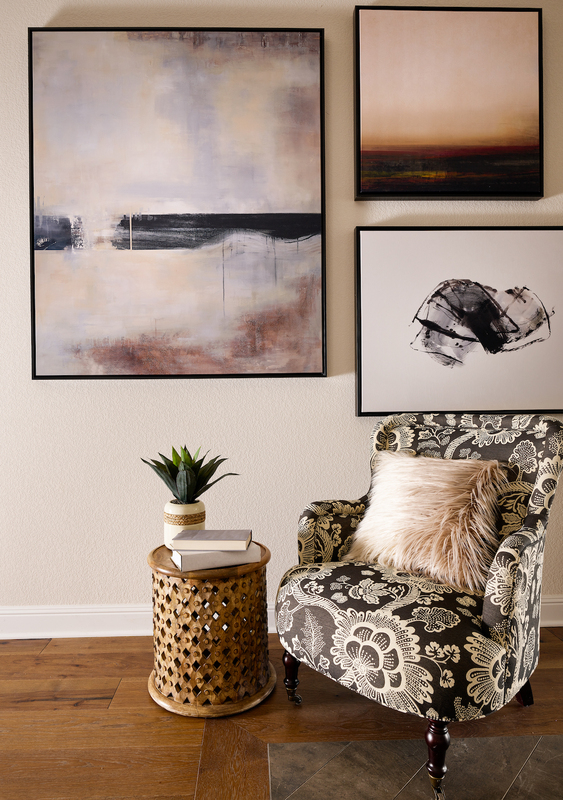 Whether framed, unframed, or printed on canvas, they add a timeless touch to any décor. From traditional to modern, bedroom to living room and beyond, personalizing a space with photos brings memories to life in ways that everyone can enjoy.